Page 27. Big trouble … for our narrator! We still have no idea where this narrator guy comes from, though he does bear a strange resemblance to Donna’s dad. Which is, no doubt, entirely coincidental. Catch up with the entire Quasi-Kidnapping story right over here. Clan Munro comic strip no. 29: Duff the Incredible! We’ll stick with Clan Munro this week and finish off Duff’s first encounter with the ballet girls. The grown-up girls (spoiler alert!) will be back to plague Duff in his very near future. 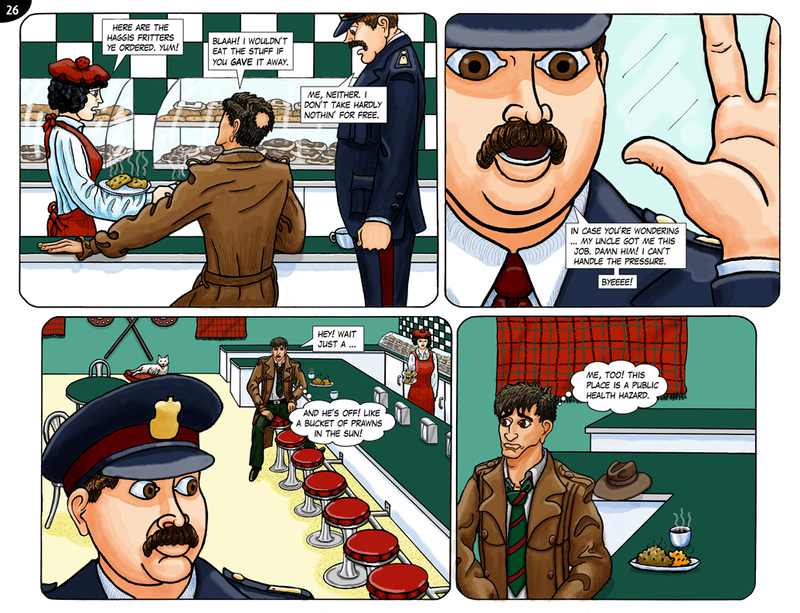 See the entire run of Clan Munro strips on this page. Clan Munro comic strip no. 28: Short and … manly? 28. SHORT AND … MANLY? We stay with nine year old Duff this week, as he meets and charms his fellow students at Madame Fifi’s Ballet Academy for Young Ladies. Click or tap right here to see Duff’s previous dance adventures … and all the Clan Munro strips. P.S. He’s wrong about haggis. It’s delicious! Catch the whole story, from the very beginning, right about here. Clan Munro comic strip no. 27: Icky or alluring? 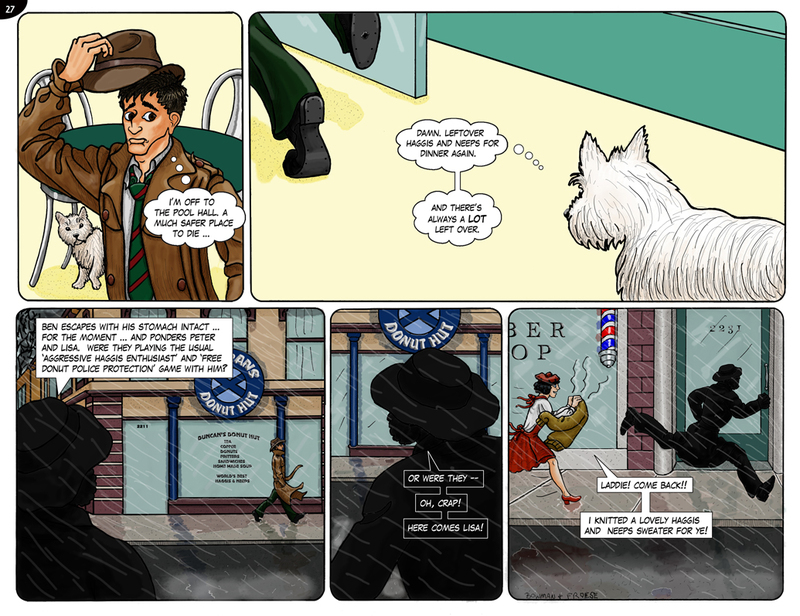 All of the totally refined Clan Munro strips are available on this page. Back to Ben’s adventure! 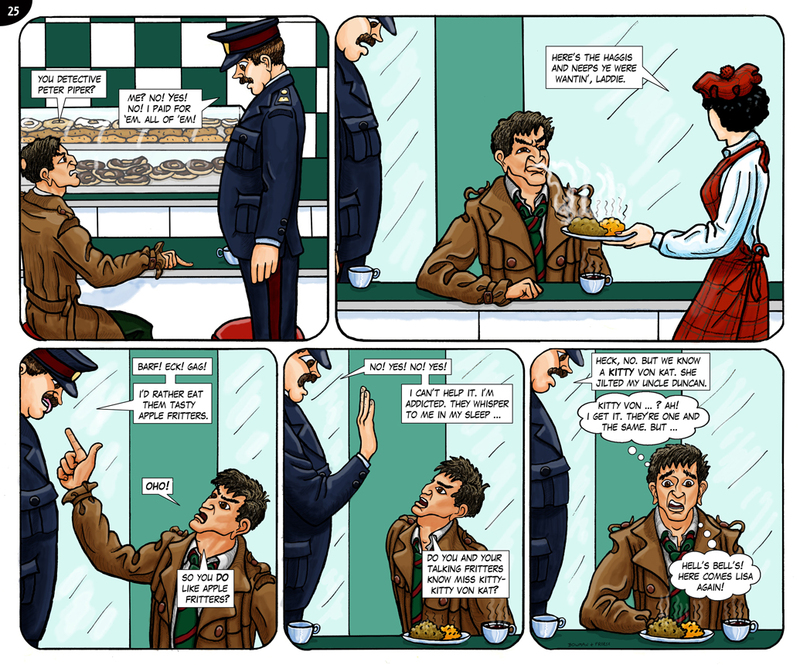 This week he dices with potentially fatal food and highly indecisive constables. See the entire story on this page!